Rants and Raves: Social Issues. | AfroMadu. Hair Diary of a Natural Sister. Rants and Raves: Social Issues. Category Archives: Rants and Raves: Social Issues. Your Morning Routine: The definite deal-breaker and habit-maker. So I’m not coming into this post as one who is an expert NOR knows what she is doing. I am coming as a concerned professional and creative, who is worried about her inner thoughts and ideas that have been flushed out by the day-to day priorities of life. This hit me one morning when I woke up 2 hours after my alarm clock. When 25 minutes was the only thing that kept me from being at work, and yet I hadn’t even moved out of bed yet. It was after I became a ninja and hopped out of bed, threw clothes on, and sprinted out of my house. I sped down streets and cut through corners saying to myself, how do we get here? Something definitely had to change and I knew it was my mornings. As a tired (literally) snoozer and procrastinator, I began looking up morning routines and the things that people do to prevent ninja mornings like the one that I had myself. I was extremely surprised to find that the most successful folks are ones with solid morning routines. That people usually use mornings to work out, meditate, and figure life out in the wee hours of the mornings. And here I am, still wiping the crust out of my eyes at my computer screen. SO I changed, for the better. I didn’t say it was easy, now. But I began waking up early. And when i discovered the joys of waking up simultaneously with the sun and listening to the newness of the morning, I was sold. Morning routines are crucial. It is time that you have with yourself before the world enters in and takes you for the storm of the day. You know, the “let me tell you what happened last night” texts, the 9:30am conference calls, and of course, the demons that try you each and every day. Morning routines are the moments to reaffirm your position in the world and motivate yourself to get through properly. And for my fellow creatives: what are some things you would like to do that you don’t have time to? you don’t even have to tell me. Those mornings will definitely allow you to get to work on some of those long term projects. Whether you take 10 mins to drink your morning coffee at home and reflect on the doings of the day, or if you want to journal your thoughts out, I truly encourage you to find that happy place. It not only helps in the morning, but it also gives you something to remember when you are having a rough day. Take it from a snoozer, who used to crawl out of bed and believe that everything was going to be alright. Have a morning routine? Tell us what you do! Don’t have one? What are some things that you might want to accomplish during those morning hours? It seems like the Department of Justice decided to close the Civil Right books these past two weeks. With three big decisions on the table, what is the Department of Justice really saying about the lives of Black people? Lets break down each finding. No Federal Civil Rights Charges Against George Zimmerman: I think the most relevant thing to highlight is the fact that Trayvon was murdered three years ago. Reaching a decision to not charge a person for three years might be a “traditional procedure”, but it is still triggering. Not only does a guilty man walk freely for a crime we all know he did, but it is “cleared” by the DOJ that this act was non-indictable. I’m still writing about Trayvon’s injustice. I can’t even write further on his life because of it. 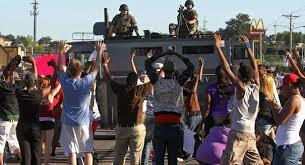 Ferguson Police Racial Bias and Unconstitutional Practices: I mean, didn’t we know this already? Ferguson became a war zone. Militia weaponry on local citizens. Was there anything practical about that choice? Moving forward, what will happen to these racist, unconstitutional cops? How do they keep their jobs and departments knowing this information? Are we condoning racial and unconstitutional practices in a police department? Can these racist cops continue to police a Black community? Non indictment of Darren Wilson: another jab, don’t you think? Not only does Ferguson Police get away with killing Michael Brown, they also get away with destroying trust between the authority and the community, but they get away with LITERALLY destroying a community. These announcements from the Department of Justice simply triggered a population of people to remember the dark place of mourning that they have tried to overcome these past few years. We have been trying to suppress feelings of anger and despair, but when news as such comes out that makes us remember, its beyond psychological trauma. It’s remembering that not only were these Black bodies murdered, but in a sense, does not matter in a court of law. So Department of Justice, thank you for reminding me these past two weeks that Whiteness has the systematic power to parade around the streets and kill Black people. You are truly appreciated. 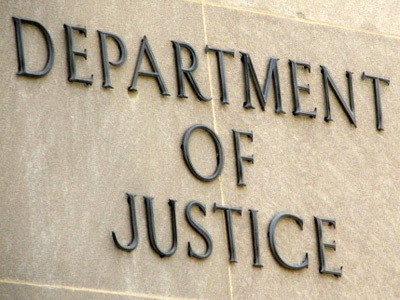 For the DOJ report, click here. Tell us what you think. Micheal Brown’s family attorney will be filing a civil law suit. More details forthcoming. Three Benefits of Boycotting Black Friday. 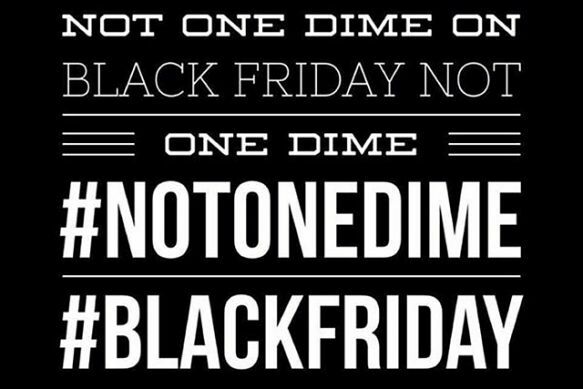 A lot of attention has been set on boycotting stores and corporations this Friday, having a split decision on folks who will and will not do it. Some believe that the boycott does not have a direct correlation of the indictment decision, while others will not spend a dime AND protest these stores. But how beneficial can this boycott really be for an individual? AfroMadu is here to break down how effective boycotting can be in regards to our Black dollar. 1. 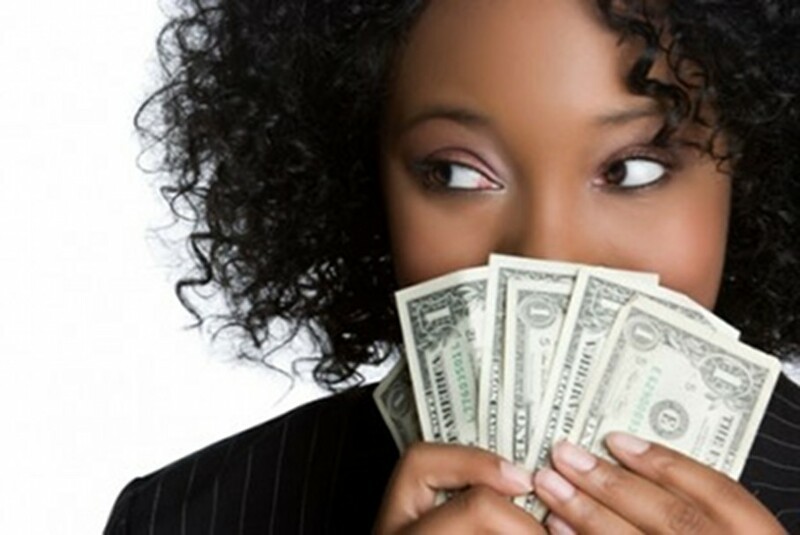 SAVING MONEY: Statistics prove that our generation has a hard time saving money. With college debt sky rocketing and the price of living increasing, it is nearly impossible for millennials to work, pay off their bills, and live the “American dream” (I’m referring to the buying a house with a white picket fence and dog idea). We also have hard time saving money and investing because of these factors. We fail to gain net worth because we can’t afford to. In saying all of this, can this boycott allow us to potentially begin the habit of saving our money when big consumer sales occur? If we gain enough willpower to actually stay home and not shop will forces say otherwise, how much money can we keep in our pockets? Save your money today! Boycotting will keep that extra hundred dollars in your pockets and really make you question why you “need” that 50″ flat screen in the first place. 2. EDUCATING OURSELVES: Statistics also show that the Black dollar, compared to other communities, are the quickest spent, having the money in our pockets in average of 6 hours before buying and spending as opposed to months and days in the Jewish and Asian communities. This is beyond disturbing. Information as such needs to be shared, especially if we are knowledgeable of how we spend our money. Understanding the value of a dollar is super important and if we are ignorant to how to spend the money we work so hard for, we can seriously be in trouble with our finances. Find a few articles or a couple books about managing finances and money and see how much you can learn with gaining the information. 3. HELP WANTED: This boycott also advertises the desire for potential buying during Black Friday. 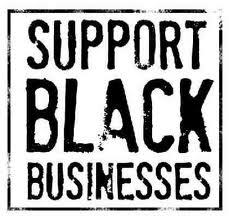 Instead of buying from corporations, invest in Black-Owned businesses. The problem here lies in the realization of actually finding necessities in the hands of Black-owned businesses. While preparing and researching for the boycott, I began to research places that I might be able to buy things that I would have to buy if all else fails. Some things would not be able to be bought because they are not Black owned. With learning all of this, it was pretty clear that more industries that provide necessities are not Black-owned, and thats a problem. At this rate, we are not able to function without White businesses and corporations. This boycott should allow future Black business owners to realize that we need capital in many different industries like agriculture, banking, and much more if we plan to devalue power in corporations. Let’s start creating these stores and own competitive markets. If you are a future Black entrepreneur, help is definitely wanted by creating trade in these areas. This boycott is allowing us to see the disconnect. In the end, this amazing movement will allow us to serve two purposes: showing the world how much we matter, and showing ourselves our dominion over our finances and business. Recent outrage from individuals in the Black community over the casting of several Hollywood produced films, including Nina Simone’s biopic and Exodus: Gods And Kings (2014), is not only ridiculous but also laughable. As usual, Hollywood casting directors decided it would be a fun idea to inaccurately cast Zoe Saldana, who is a mixed race Latina, as the legendary Nina Simone, who is visibly dark and a heavily African-featured woman, not a fair-skinned Latina like Zoe. Instead of choosing a Black actress who is just as, if not more talented than Zoe Saldana and also fits the physical requirements of the role, someone like Orange Is The New Black star Uzo Aduba, they went through the racist trouble of putting Zoe in blackface in an effort to chan- nel Nina. This move by hollywood directors is not only insulting but predictable. In addition, the movie Exodus: Gods And Kings, which tells a story of Ancient Egyptians, depicts the royal Egyptians as something other than the Black Africans they were, as white men. Of course the slaves in the film are cast as Black, we’re always allowed to be that. This reshaping and whitening/lightening up of our history is what happens when we allow our oppressors to tell the stories we should have been telling all along. 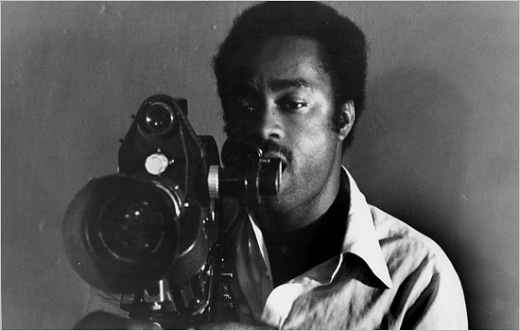 As a reaction to the absurdity of both films, Blacks have voiced opposition and drawn up petitions in an effort to get them shut down. Once again, we’ve found ourselves trapped in an en- gulfing hell of useless pleas and unnecessary explanations, fighting for inclusion and crying about the whitening up of a history we know so well. We’ve allowed ourselves to be reactions to whiteness as opposed to the doers. Instead of creating the stories of Nina Simone and Black Egyptian stories we want to see, we’re pleading for change upon the deaf, careless ears of white media. Let’s face it, Hollywood is a predominately white controlled media platform who always has and will continue to do what they please with such platform because they can. It is not their jobs to accurately tell our stories or to even tell them at all. This overvaluing of white media has to stop in order for us, Black people, to move forward on the rigorous path of healing and independent self-awareness. 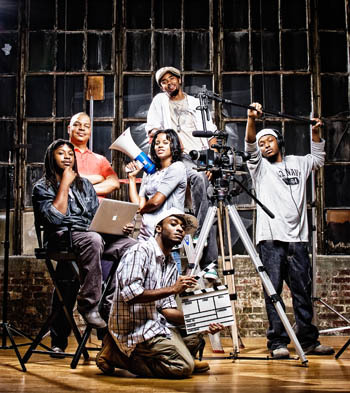 Coming from a legacy of Black filmmakers like Spike Lee, Haile Gerima, and the legendary Os- car Micheaux, who didn’t wait for white media platforms like Hollywood to produce the stories they wanted told, there’s no reason we can’t continue to act as the definers these individuals helped lay the foundation for us to be. It is time, way past time, for us a people to cease the up- holding of white opinions and perspectives over what we know as true. We know Nina Simone was not a fair-skinned Latina, we know Ancient Egyptian royalty were not a court of white men, therefore the emotional reactions to these careless insults by white media are useless. Instead of dredging up petitions or voicing cries of hurt and anger out in the street, combat the obvious lies with art. Ensure that other Black people know the truth about this war of accuracy in history by reclaiming your right as the storyteller and create what you want to see. Zora Neale Hurston once said “If you are silent about your pain, they’ll kill you and say you enjoyed it.” In this context, if you continue to allow your history to be told by your oppressor, they’ll continue to erase you and trap you in a prison of explaining instead of doing. Current Events, Rants and Raves: Social Issues. For Colored Girls Who Decide to Reflect and Not Mourn The Loss Of A Giant. I know why the caged bird sings. She sings for hope. She sings so her sound can be heard. She also sings, because if she doesn’t, her song will only be a faint memory. And the memory of once singing will be lost and trapped inside of her. What does that perfect melody do for the bird that once wanted to sing? 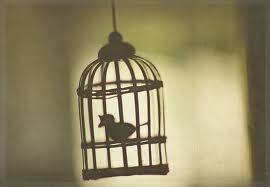 Most importantly, how can that suppressed melody potentially effect the other caged birds into breaking free? We wouldn’t know. 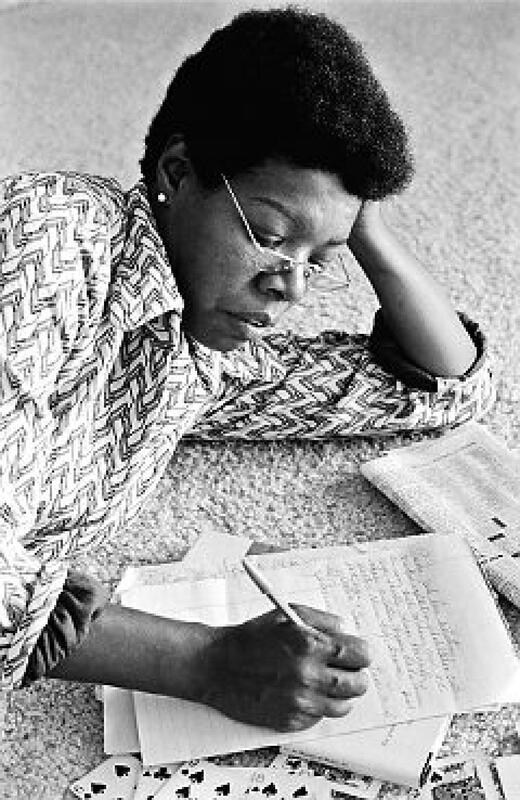 The caged bird has to sing first…. I will call them my people, which were not my people; and her beloved, which was not beloved., we often become sad and frustrated about death in general and how people die. I had to rethink this news of Maya’s death and reevaluate the meaning of death. I didn’t feel as if Maya left the world and took the impact that she left on me and other Black women, but it was as if a bigger message that was sent to us: the time is now. We always rely on civil right activists to continue the fight for justice, but can they really continue the fight by themselves? why does it take our elders to die to realize that we must keep on? Why does Maya have to leave the earth so my passion for writing and truth-telling becomes reestablished? We live on the backs of giants. 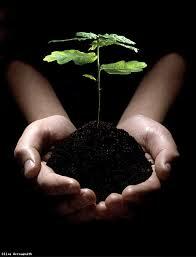 We are the branches of a strong oak tree. Yet we continue to not live through our fullest potential. Our ancestors are tired of lifting us up. We must nurture our own minds and circumstances and continue the fight. The fight of our liberation. Opening that small gate so that we can become free birds. This starts by picking up where they left off and keep it going! As far as Maya’s fight? She showed me that it was ok to be flawed. That my story can illuminate the entire world and allow other women to tell theirs. She was willing to sacrifice her small pride and gained an abundance of humility from standing firm in what she believed, regardless of her adversities and struggles. We lost flesh, but we gained her spirit. Her spirit will forever live and her intrinsic motivations, to allow the to coincide with her extrinsic ones will be my motivation to sing my melody and help others become free of their cages. I will not mourn Maya’s life. I will use her legacy to continue to build mine. Thank you for everything that you did. Your patrimony will forever live on. I am too young for my history. As if these lines could not come any quicker in the world we are living in today. Fu Xi’s “The I Ching” is not only one of the oldest Chinese classical accounts, but a foundational text that is used to understand the human observing the world and one’s position in it. This small excerpt lays out the cry for help in humanity. Being born into inequalities, and realizing the birth of social strain and the epidemic of hatred is not only uncovering truths, but a daunting problem in a sense. Think about the injustices that everyday people fight for on a daily basis. Debts, poverty, crime, and other institutional hatreds allow us to look through this text and decode Xi’s words. We are around this organized hatred everyday! But let’s begin to examine a different perspective of hatred, not institutionalized but on a personal level. The structural hatred that is carried on from these bigger entities and is exuded through ourselves, and passed onto each other. The hatred that stands within our brothers and sisters that control our actions in picking up guns and killing each other. The type of hatred that breaks our natural collectivistic ideologies. Should we continue this cycle of breeding hatred into our youth and condoning this toxic emotion? How can we turn this hatred into community, unity, and love? We are ALL too young for our history, the tradition of hatred being passed down from generation to generation. AfroMadu Book Club., Rants and Raves: Social Issues. 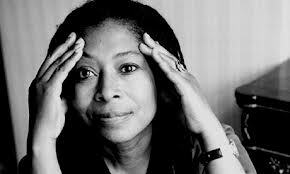 Author and scholar, Alice Walker, shed light on a discipline that made Black women feel at the center. There are two disciplines, which are broken into two parts, feminism and womanism. 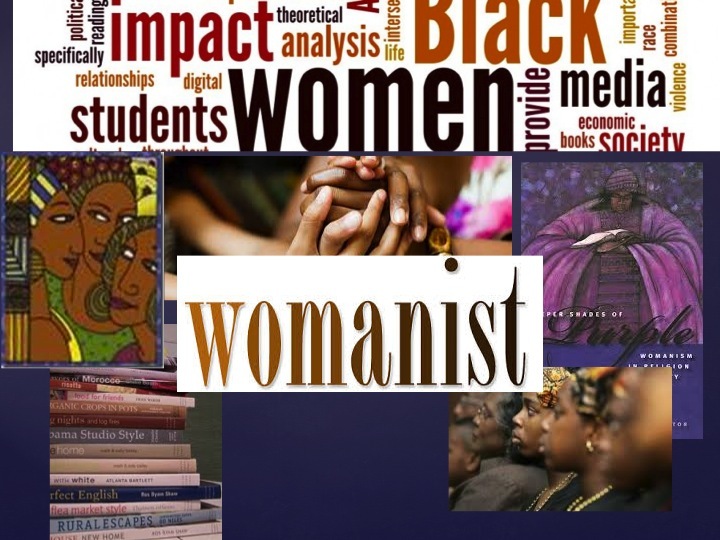 Womanism was first coined by Walker in a narrative essay entitled “Womanism: Coming Apart.” In 1983, Walker went into depth further when she explained just exactly who the womanist is. Each of the disciplines can be problematic for some. For an example, feminism falls into two categories [white] feminism and Black feminism. Womanism is also broken down into womanism, coined by Walker and Africana womanism, which was coined by Clenora Hudson-Weems. Each of the disciplines have stated the problem, as most disciplines do. Feminism is problematic on so many different levels because although there were Black women who were the first feminists, the construct like many others faced a “manifest destiny.” This meaning that the ideology was removed and stripped by white supremacist though or the social construct of whiteness. When white feminists first began their movement, many of them were abolitionists. Even then, the white abolitionists within the slave period had no understanding that slavery was not the overall issue. Our history has taught us that. Humanity was an even larger issue. 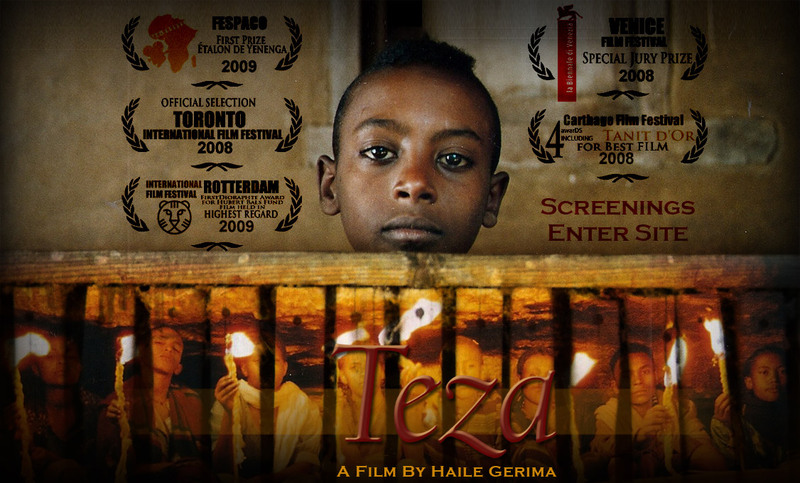 Once enslaved Africans were freed they were exposed to another world of problems thanks to what whiteness represented. Black women were not included into the [white] feminist conversation. Why? 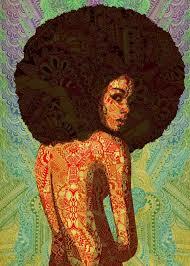 Black women, the African woman had agency over herself before slavery, during slavery and after slavery. Enslaved Africans viewed their slaveowner’s wives as defenseless creatures. Even in enslavement, the African woman, knew and recognized her role and how important that would be for her people. Slavery, never allowed for her to lose sight of that. Feminism appeared to be more about working, something that African women were already breaking their backs to do, identity, something that African women were consciously aware of because of the extreme trauma that they faced, and being in the white man’s shoes, which was not a desire of the AFRICAN woman. Therefore, in so many ways many both men and women of African descent view feminists who not only identifies the man as the enemy within our patriarchal society, but within the same breath actually desires to wear his shoes. Alice Walker states in “Womanist” (1983) that the womanist is “committed to survival and wholeness of entire people, male and female.” The question must be asked does feminism do the same thing in both white and Black disciplines? Walker also states that a womanist is “wanting to know more and in greater depth than considered “good” for one.” This means, that the Black woman is concerned about Black people and not just Black women. She values and loves the Black woman “sexually and/or nonsexually,” but also has this same feeling for the Black man. A womanist has an understanding that we have faced so much together as a people, that it would make no sense within a white supremacist society to identify one another as the enemy. Who is the enemy? What white men and white WOMEN represent is the enemy to the discipline of womanism. Whiteness is the enemy. Walker when she coined womanism did have every intention on the attempt to support Black feminists, because they are our sisters. Hudson-Weems felt as though womanism was still too much similar to the discipline of feminism. Africana womanism, chooses to identify the homeplace, which is Africa. 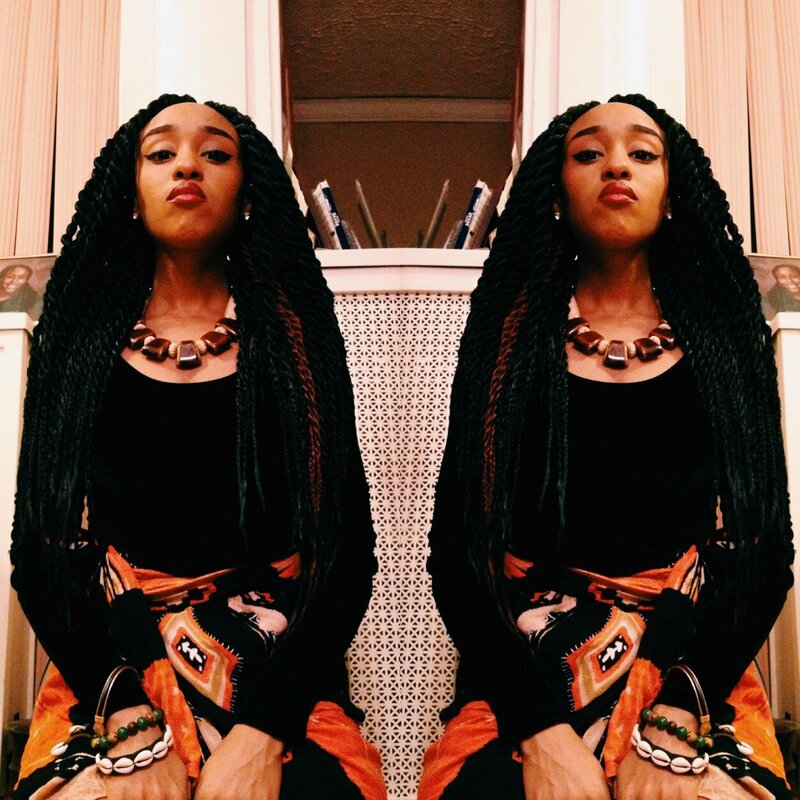 Not only is Africana womanism about agency as women, it is about the agency of being African. Womanism and Africana womanism has many differences, but they both target “whiteness” as the ultimate issue, because of the collective social injustices that we face in this world. Bernice King. Back at it again with the gems. Self Determining our Black Purpose.